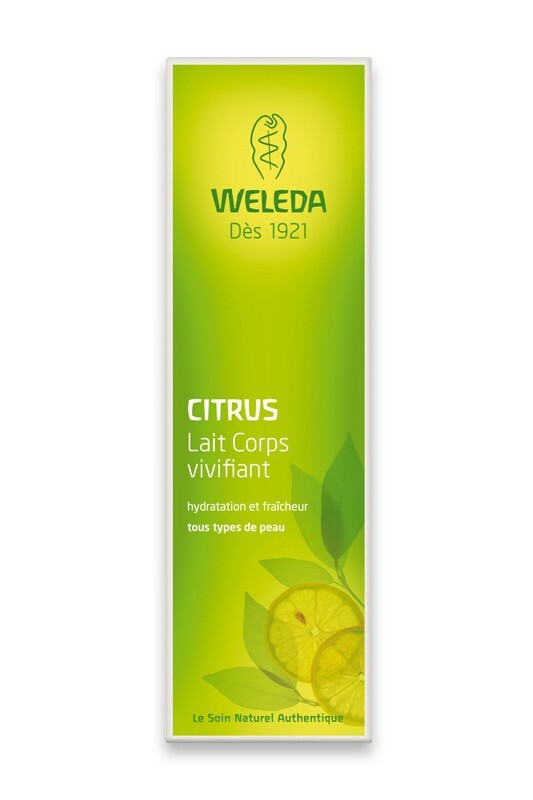 Weleda Organic Citrus Invigorating Body Lotion moisturizes*, refreshes and tones your skin. The combination of Aloe Vera Gel, Organic Coconut and Sesame Oils gives deep hydration*. Citrus essential oils fragrance are great to awaken skin and regain vitality and dynamic. Used in your daily routine for all the family, Weleda Organic Citrus Invigorating Body Lotion gives you an instant boost of freshness and good mood. Plus, its new pump makes it so easy to use ! 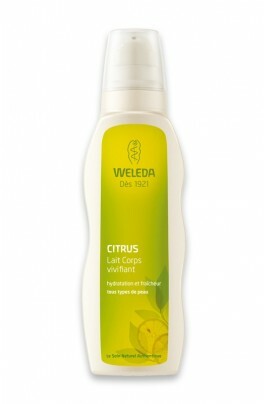 Apply Weleda Organic Citrus Invigorating Body Lotion all over your body and massage until fully absorbed. Before the first use, shake the bottle and activate the pump by pressing it several times. Water, Sesame Oil, Alcohol, Coprah Oil, Glycerin, Aloe Vera Gel, Olive Oil Unsaponifiables, Fatty Acid Esters, Essential Oils of which Citrus, Shea Butter, Clay, Xanthan, Carrageenan.